When you plant your lettuce, you’ll need to make sure to grow it in well-draining soil with plenty of organic compost mixed in. Sandy to loamy soils work well for lettuce. Keep your soil pH at around 6.5 for best results. 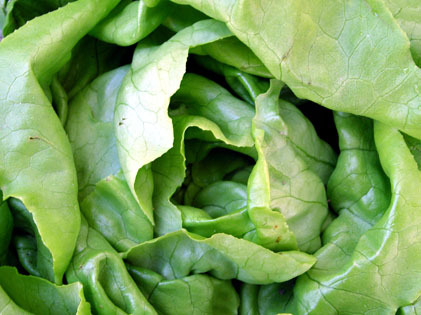 It’s a good idea to take a soil test before growing lettuce. You can use an electronic soil tester to verify that your soil has the right pH, nutrients and soil moisture levels. This way you’ll know if your soil needs some fixing, which is especially important if you’re accustomed to using fertilizers in your garden. Many times we use fertilizers when they are not really necessary. Testing your soil will give you a better idea of what your plants really need. If you add well-decomposed, high quality compost to your soil, your lettuce shouldn’t need additional fertilizer. If you choose, try out an organic fertilizer or a mycorrhizal root builder. These natural products will boost your plants natural abilities to extract nutrients from the soil. 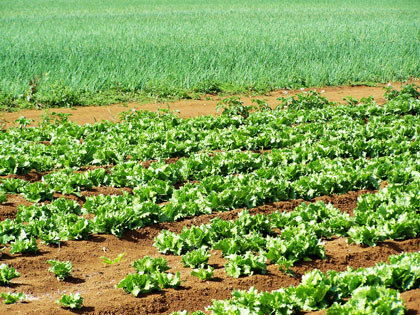 According to a study by Texas A&M , organic fertilizers actually work better than chemical fertilizers, and are better for the environment. Another excellent thing you can do for your lettuce is to place a layer of organic mulch over your garden after you’ve planted and your lettuce starts to develop. Use a 3-4 inch layer of bark chips, shredded wood, straw, etc. The mulch will break down over time, adding nutrients to the soil. Mulch will also help your soil retain moisture and will keep weeds from growing.